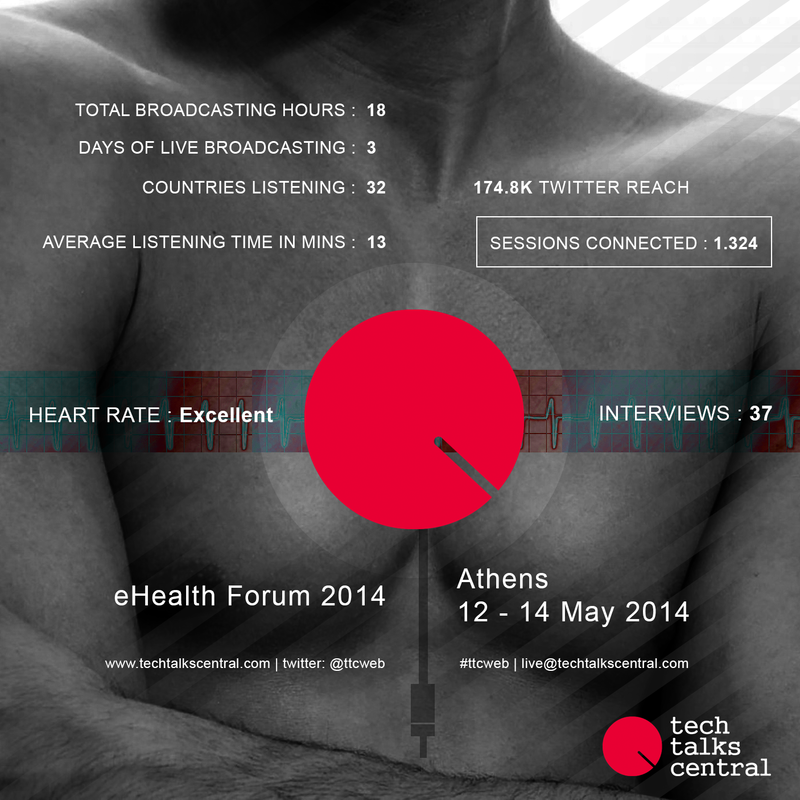 Tech Talks Central realising the explosive growth in digital health & innovation in healthcare was part of the eHealth Forum 2014 in Athens. The Forum is an important annual event for those who are interested in eHealth and Active and Healthy Ageing. Trying to cover all the bases, Tech Talks Central interviewed some of the key stakeholders in the field. Capturing knowledge, wisdom, and insight TTC tried to provide a deeper understanding of the digital health ecosystem. 37 key informant interviews & 3 days live broadcasting with important people from around the world such as Paul Timmers | European Commission, John Crawford | IBM, Brian O’Connor | ECHAlliance, Benoit Abeloos | European Commission ended in an endeavour to learn more about this rapidly developing and most promising sector.